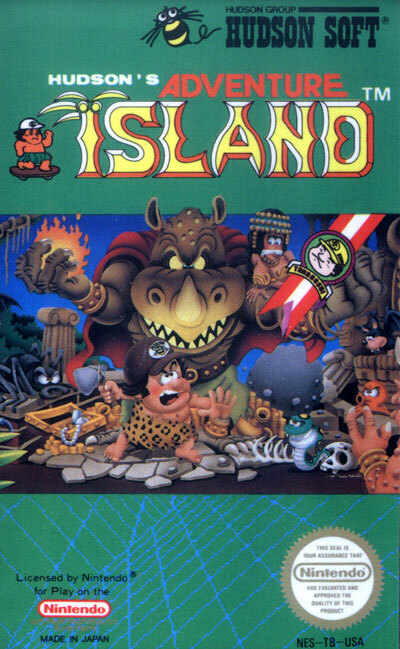 Adventure Island is a side-scrolling platform game, in the same vein as Super Mario Bros.. Power-ups are found inside of eggs. Power-ups include (but are not limited to) shooting power, skateboard, superior shooting power, and invincibility. Running into an enemy, a rolling boulder, or a fire results in instant death, as does falling into water or into a pit. Stumbling over a small rock results in a partial loss of vitality and momentary control. It is necessary to collect food items along your way through the levels in order to keep your health up, as health also acts as a timer of sorts... slowly depleting as you go. If you find a fairy inside of an egg, it will provide protection against enemies, boulders, and fire for a set while. However, Higgins is always vulnerable to falling into pits and water.